Making updates to your home takes more than just waking up one day and deciding to do it. Weighing the pros and cons of any investment takes time and consideration. However, making eco-friendly updates should not take as much forethought as you might think. Why? 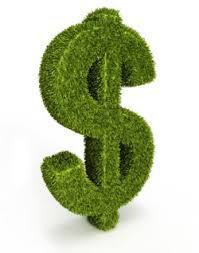 Because the pros far outweigh the cons, and eco-friendly updates result in more money saved than you ever anticipated. More and more policies are making allowances for homeowners who choose to upgrade to eco-friendly plumbing and appliances. Get yourself a discount just by making these upgrades and consider the investment money toward your future savings. Eco-friendly upgrades, including toilets, faucets, shower heads, and more, function by conserving water. Processes that save water and energy make your home run more efficiently, saving you time, money, and resources, as well as the frustration of a poorly-run house. Here we have it. By installing energy-efficient, eco-friendly appliances in your home, you ensure that the processes you depend on take less energy to complete and pull less resources than older models when completing the same job. The results? You save money. According to Energy Star, a tankless water heater can save you $100 per year, and that’s not counting the bonus of having equipment that benefits the environment and runs more effectively than your old model. Doing good for the world may be on your top 10 list, but, other than responding in the moment, it can be difficult to achieve regular, meaningful service without trying. Not so with eco-friendly upgrades. When you make changes to your home that save energy and water, you go a long way to preventing waste and preserving our world. The difference with eco-friendly changes? You make the changes you want one time and never have to give it another thought. Eco-friendly home updates enhance your home in many ways. Making these changes can save you money on both your home expenses and insurance plan. In addition, you experience the added satisfaction of supporting the world in ways you never anticipated you could. If you’re interested in taking the next steps to upgrading your home, contact Simpson Plumbing today. Our talented team is always ready to help homeowners make changes that will dramatically improve their everyday lives and benefit the environment. If you’re unsure about eco-friendly upgrades or have questions, we’d love to help. Call us today!